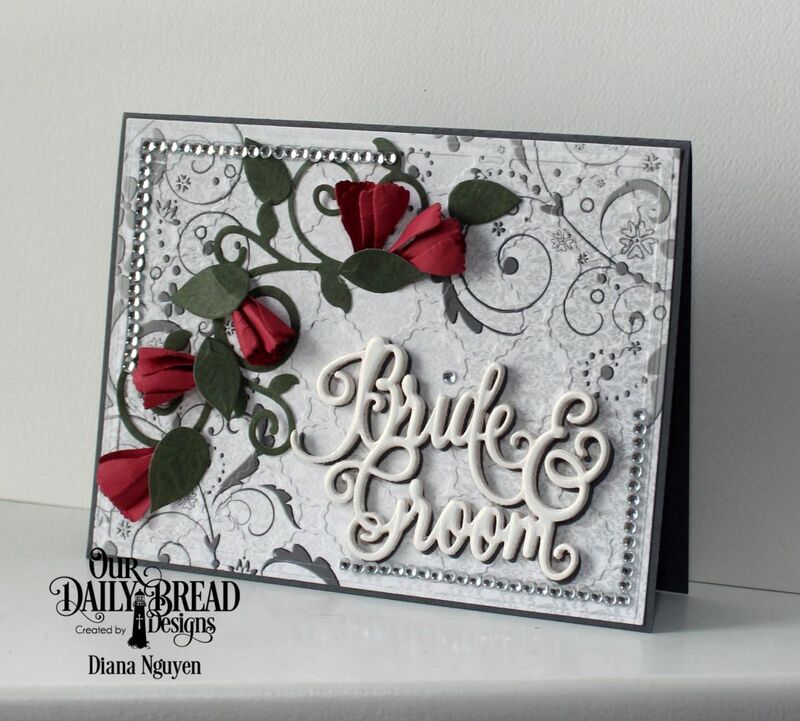 I have another card to share with you with the new release from Our Daily Bread Designs this month. I used a LOT of die cuts on this - and no stamps actually. I built my base layer by die cutting the Scalloped Chain out of the Wedding Wishes Paper and then glued it back on the same sheet to give it an embossed look. In hindsight, embossing it with the die might have been easier! Lol! Either way, it gives the paper a subtle texture that does not take away from the pattern. 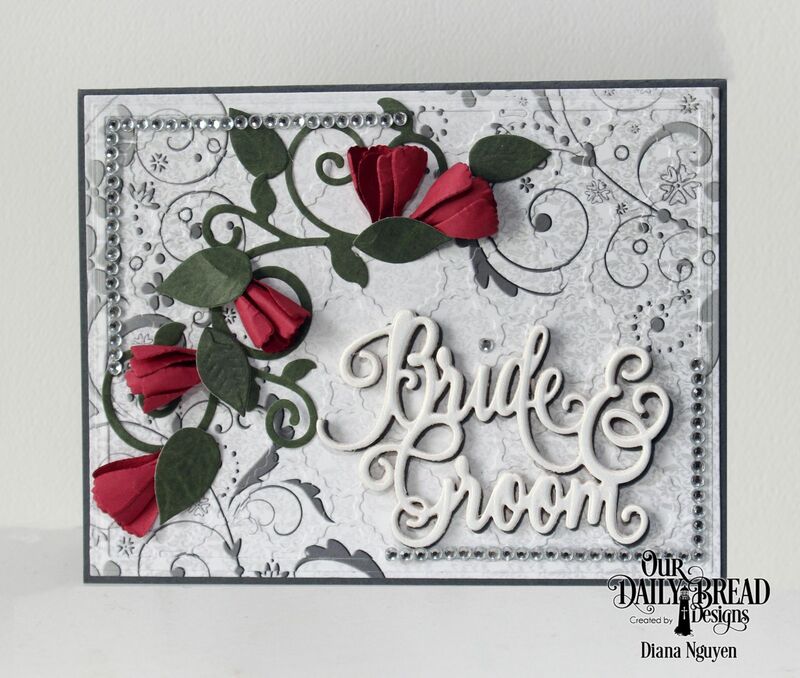 I added a pop of colors with small roses and a swirl of greenery. 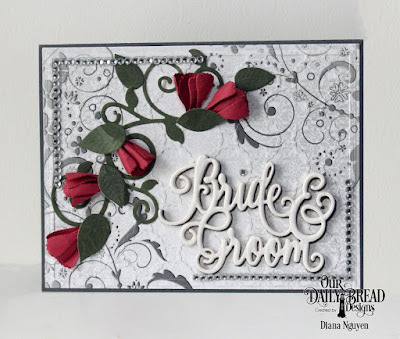 The Bride and Groom was cut multiple times and then layered on top of the card base.